Posts for FotW are way past due. One of the weird hobbies K and I are into is to try different kinds of foreign snacks. A couple weeks ago, by brother handed me a bag of potato chips he got from a friend who recently returned from Thailand. 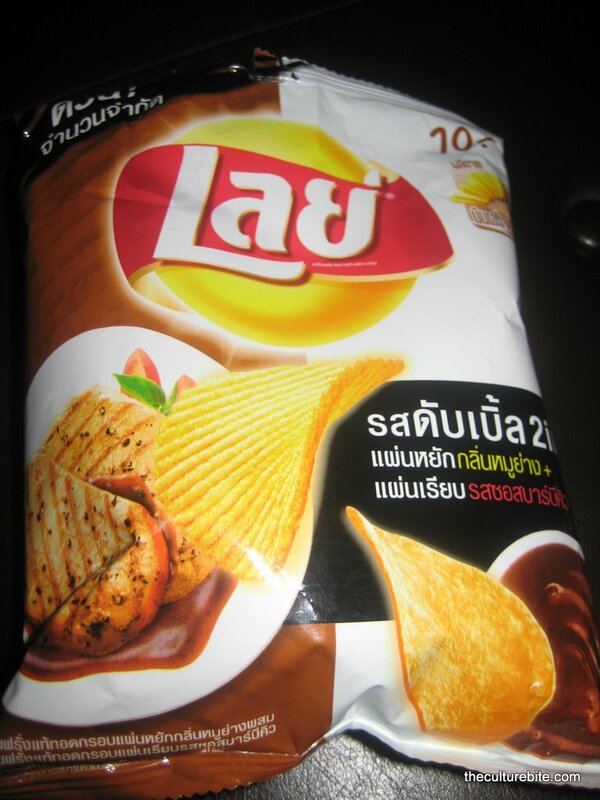 It was a pack of roast pork flavored Lay’s. That’s crazy! The bag consisted of 2 different kinds of chips. The rigid chip was the pork flavor and the smooth chip was the sauce. The flavor resemblance to the real thing was uncanny. Must be the MSG…. Check out the other unique flavors of Lay’s here.